There are less than 24 hours left until the surprise guest Mercedes-Maybach S650 Cabriolet will make its entry on the stage of the Los Angeles Auto Show. 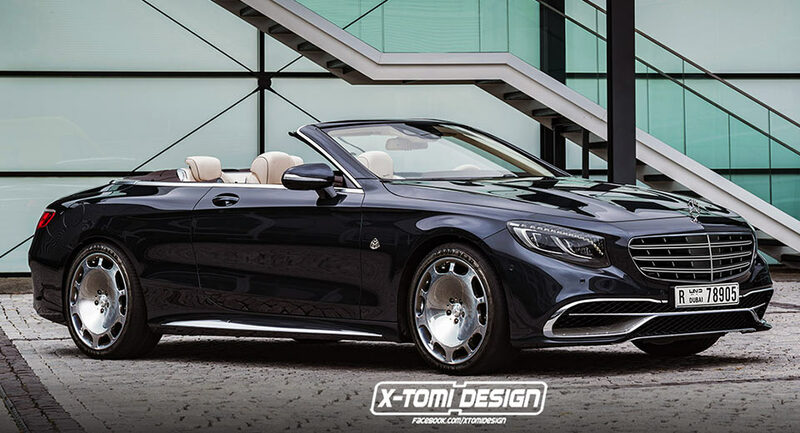 The video posted by Mercedes-Benz on social networks has inspired the digital artists, who have already thought about the looks of the most luxurious convertible ever made by the 3-pointed star brand. The Mercedes-Maybach S650 Cabriolet is the model giving the Rolls-Royce Dawn a run for its money. Highly customized to fit the Maybach sub-brand standards, the high-end cabriolet shall be based on the S65, with no extension of the platform whatsoever. The Burmester high-performance sound system, perforated leather seats, unique interior trim and plenty of chrome details will be present in the model teased by Mercedes last weekend. It will though feature a more powerful engine with new performance figures than the turbocharged V12 powering the AMG variant and able to make the car go from a standstill to 62 mph in 4.1 seconds. A small plate showing up in the video refers to the fact that Mercedes is planning to sell the cabriolet in a limited edition of 300 units only, as many will likely join the collectors’ garages. Look what landed in Australia! Mercedes-Benz X-Class might also go to the U.S.